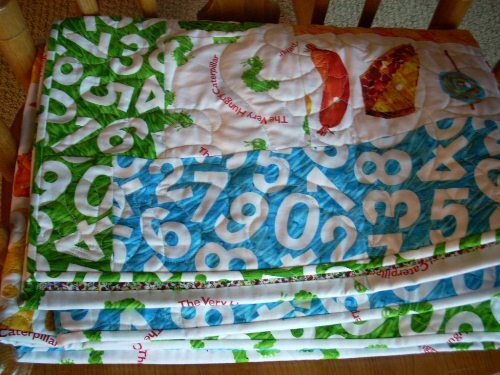 Featured Mom: Silly Mama Quilts - Mom Made That! Good morning to all you lovely Mom Made That! readers! Today I’m really excited to bring you a little interview with the incredibly talented Brooke of Silly Mama Quilts. It’s not hard to fall in love with her eye-catching designs and attention to detail. Be sure to browse through her Etsy shop (and blog!) to take a look at her colourful pieces. 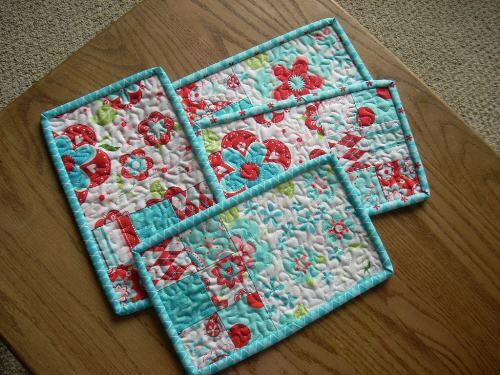 I’d certainly be thrilled to cozy up with one of her beautiful quilts! 01. Tell us a little about yourself! I am a Mom to three kids at home – 11, 9, 7 and a 24 year old daugther who is married and just graduated with her Masters and working! I am also apart of Amanda of the Quilted Fish’s design team. Amanda is a fabric designer for Riley Blake fabrics. I get to design new projects that are debuted on Amanda’s blog – tons of fun!! 02. What lead you to creating your own business? I think is covered well in the intro piece I have attached. 03. Describe a typical day in the life of YOU! During the school year, after my kiddos are off to school, I head out on a morning bike ride to help process my day, come home to chores and errands before heading into the studio to work. In the afternoons I monitor the kids’ activities and then take care of dinner, homework tutoring and such things. 04. What is your best piece of advice for fellow WAHMs? Find a balance in your life that you can live with. I have quickly come to the conclusion that if I don’t take care of me, no one else will. I have learned to take a stand for things I need – a bike ride for sanity, time in the studio to work and or create for example. 05. The best part of being a WAHM? The worst? The best part is my availablity for my kids and hubby which can also be the worst. I do love being able to work around their schedules without answering to a boss about how many sick days, vacation time and such. 06. Favourite blog? Music? Book? Movie? 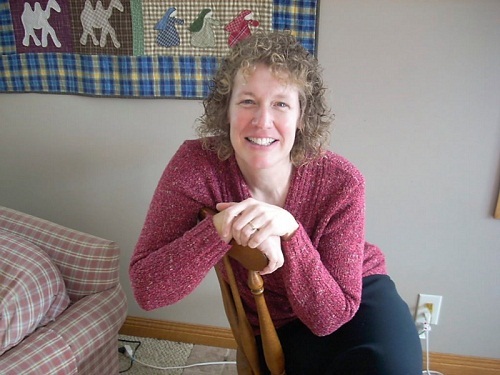 I have several favorite blogs I follow – mostly related to fabric designers, design team members and quilters. My favorite music is just about anything Contemporary Christian, movie – Return to Me, Sleepless in Seattle. 07. Where do you see yourself in 5 years? I hope to be doing what I am doing now plus maybe more designing. Don’t forget to visit her shop & blog. You can also catch her on Twitter by following @scrapquiltqueen!